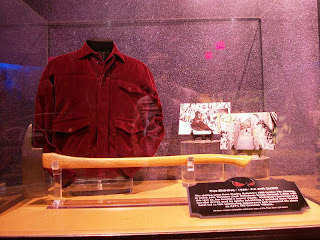 Recently, the AFI (American Film Institute) updated its showcase at Disney’s Hollywood Studios. For many years the display has been comprised of famous villains in film history, and while Darth Vader, Darth Maul and the xenomorph from Alien are still among the chief nasties housed within the exhibit, some of the new entries are more subtle, if not just as evil. Case in point this rather unexceptional jacket and ax. Stephen King and Stanley Kubrick crafted a tale in The Shining that plays on a myriad of deeply personal fears, from being isolated and cut-off from the rest of the world to the thought that a loved one could at any time snap and hurt us, whether they meant to or not. 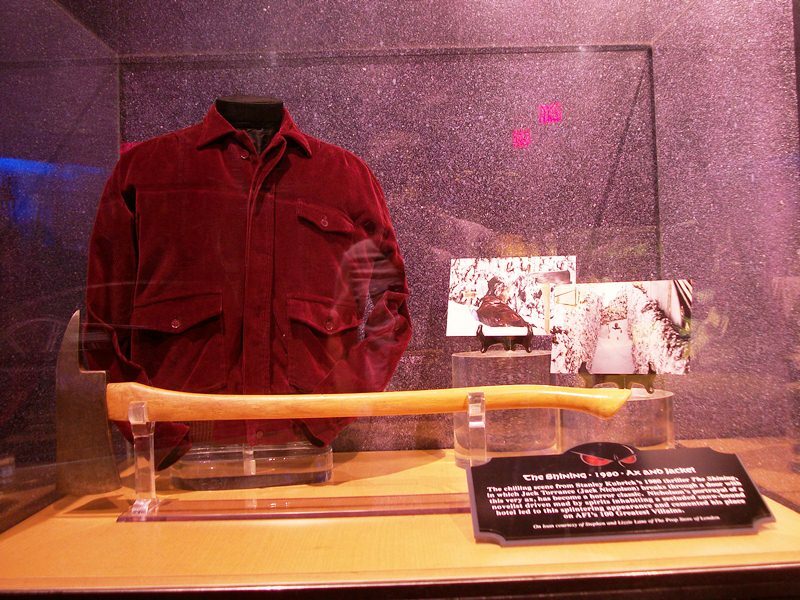 Jack Torrance will always have a reservation waiting for him on the list of AFI’s 100 Greatest Villains, and I, for one, am happy to see a part of this film be preserved and shown off at the AFI Showcase at Disney’s Hollywood Studios.